I am still selling complete building plans for my Modern Farmhouse. Licensed rights to construct a single home and one set of reproducible prints are available for purchase. 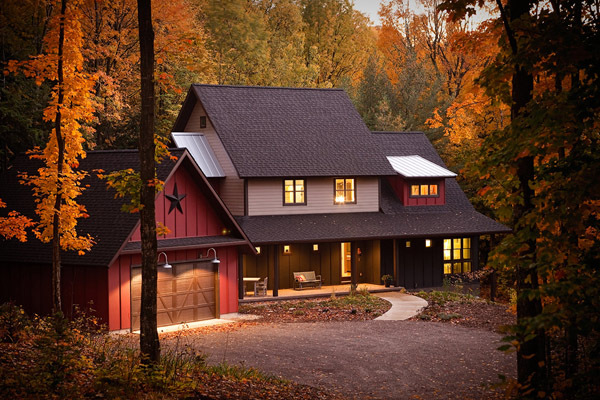 Plans include the house plus detached garage, a foundation/basement plan, attic plan, site plan (for using the passive solar features), elevations, and a window/door schedule. 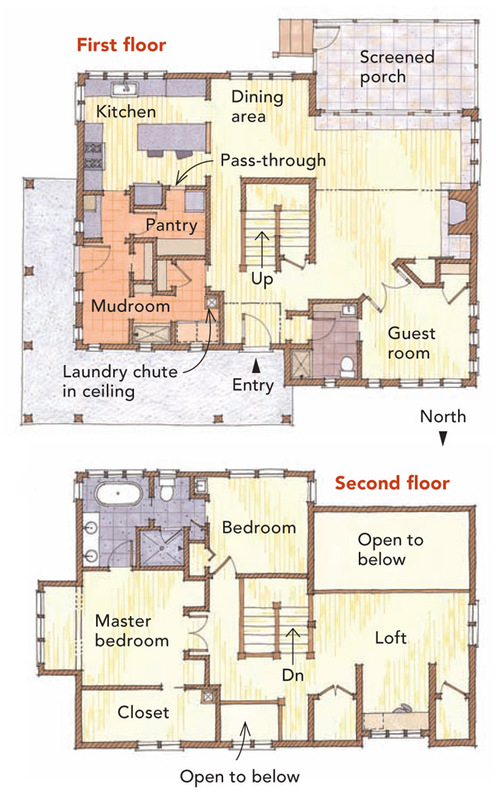 Study plans are not available; however, an extensive online photo album showing every room in the house and many exterior angles may be reviewed upon request. If you want more information on how to buy the house plans for my Modern Farmhouse, please email me for the details: diane@page9design.com. Floorplans as illustrated by Martha Garstang Hill in Fine Homebuilding, Spring 2009. Photo by Brian Confer. Plans and home design, all rights reserved. ©2006 Diane Kolak.